The Standards Organisation of Nigeria (SON) says about 64 per cent of lubricant products imported into the Nigerian markets are below the approved standards. Mr Gabriel Abah, Desk Officer, Base Oil and Lubricants at SON, raised the alarm at a one-day sensitisation workshop on reduction of substandard engine lubricant in the markets in Awka on Wednesday. The workshop has as its theme: “Imbibing Quality Culture in made in Nigeria Product’’. Abah said that statistics showed that 30 per cent of the substandard products found their way into the country’s lubricant market. He described lubricants as lubricating of the wheel of industrial and sustainable economic development, adding that market intelligence from across the country portrayed an adulteration dimension of epidemic proportion. The desk officer said SON was doing everything possible to protect the lubricant sub-sector which contributed about eight per cent to Gross Domestic Product (GDP) in 2017. Abah recommended increase of import duty on lubricants from 10 to 30 per cent and reduction of same on base oil, a major input in production of lubricant as possible solution. “Some of the consequences of substandard lubricants include loss of integrity, low return on investment, facility loss, knocking of engines, low engine performance, low fuel economy and environmental pollution. “Concerted efforts and collective resolve from both public, private institutions and sectoral stakeholders in enforcing compliance with codes of practices will constitute formidable arsenal to fight the menace,” he said. 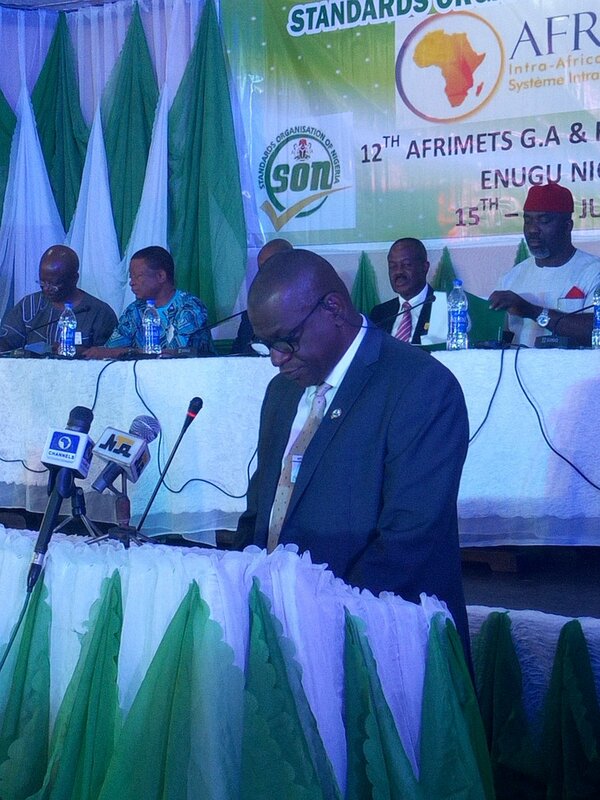 In his keynote address, Mr Osita Aboloma, Director-General of SON, said the organisation had been mounting campaign against the influx of substandard products into the country. Aboloma said the workshop in Anambra was in view of the relevant role the residents play in contributing to the economy of Nigeria in manufacturing, importation and market for engine lubricants. The director-general, represented by Mr David Obi, Enugu Regional Coordinator of SON, said as the world’s large importer of generators, industrial and vehicle lubesv into the market for lubricants in Nigeria was high. “The purpose of this workshop is to reduce the influx of substandard and adulterated lubricants in Nigerian by creating awareness among stakeholders and letting them know the consequences of getting involved in it. “Always do your businesses the right way, in a manner that ensures your activities do not infringe on safety or enhance economic loss of money and time to other citizens,” he said. In her address of welcome, Mrs Nwaoma Olujie, Head of SON in Anambra, said the workshop was to inform stakeholders in the sector on the development. Olujie, who warned those manufacturing or circulating substandard lubricants in the state to desist from it or face the wrath of the law, added that SON should not compromise on ensuring value for customers. “Consumers should watch out for lubricant products with SON certification logo, while urging manufacturers to protect their brands by subjecting them to SON process and obtaining its seal,” she said.